Learn to trace precedents to determine which cells impact a specific cell. Learn to trace dependents to determine which cells are impacted by a specific cell. Learn to remove precedent and dependent arrows. 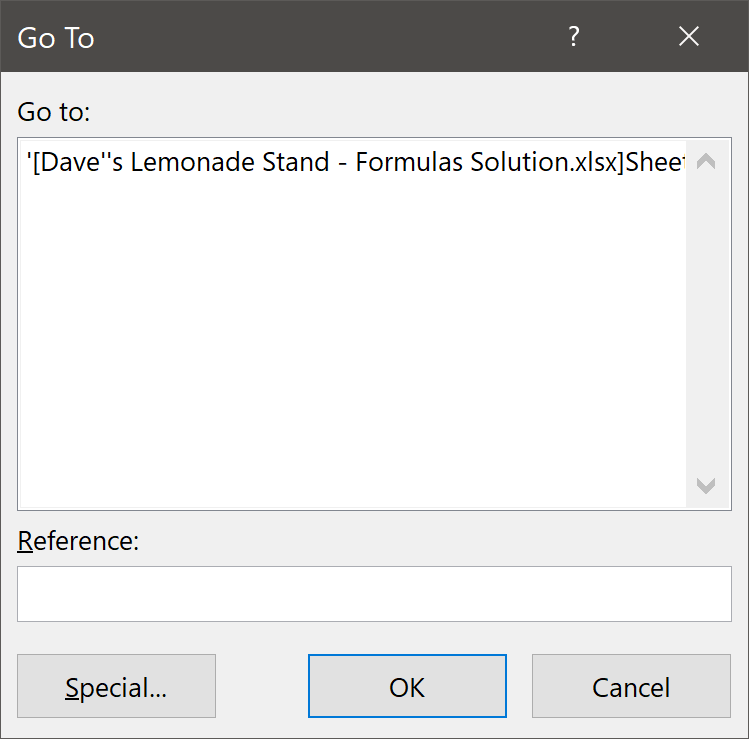 Learn to check for errors frequently found in formulas. 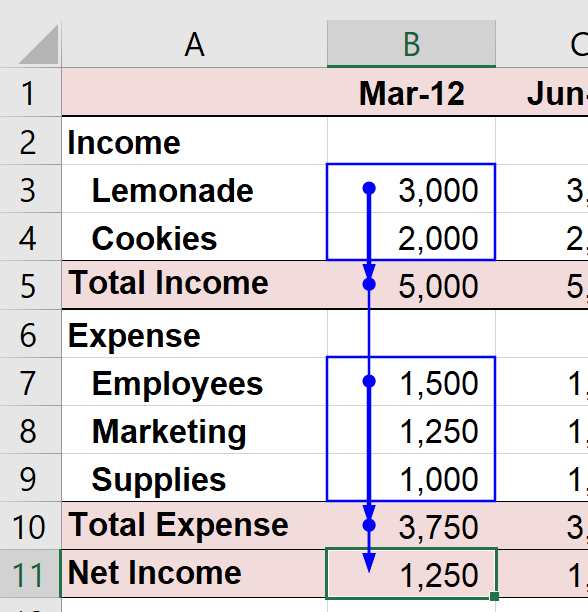 Large spreadsheets are often very complicated with formulas referring to many cells each of which contain their own formulas referring to other cells that might be contained in other worksheets or even other workbooks. 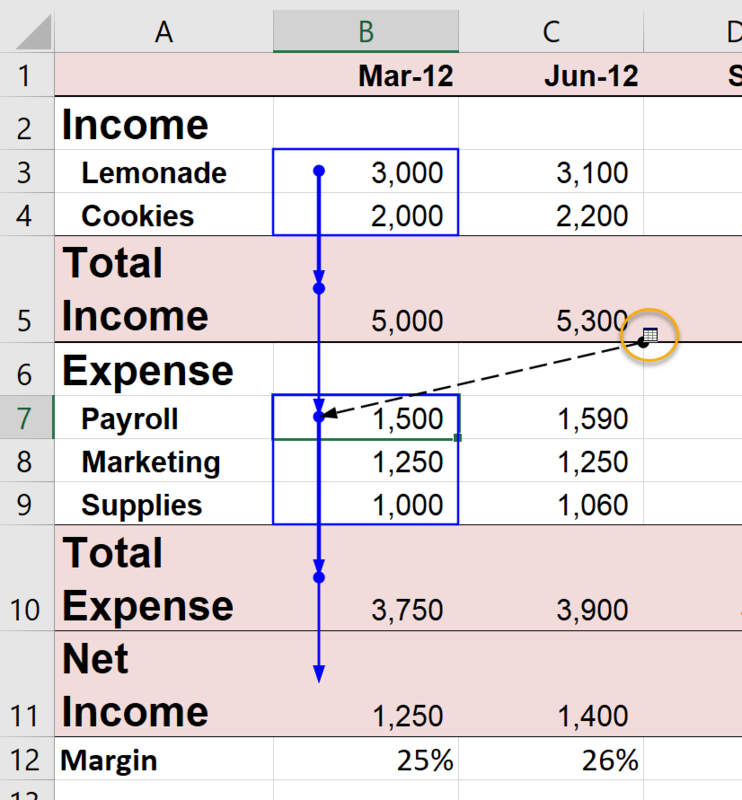 Excel's Formula Auditing commands are very helpful when working in large worksheets. To locate the cause of errors. Often an error appearing in one cell is caused by an error in another cell. 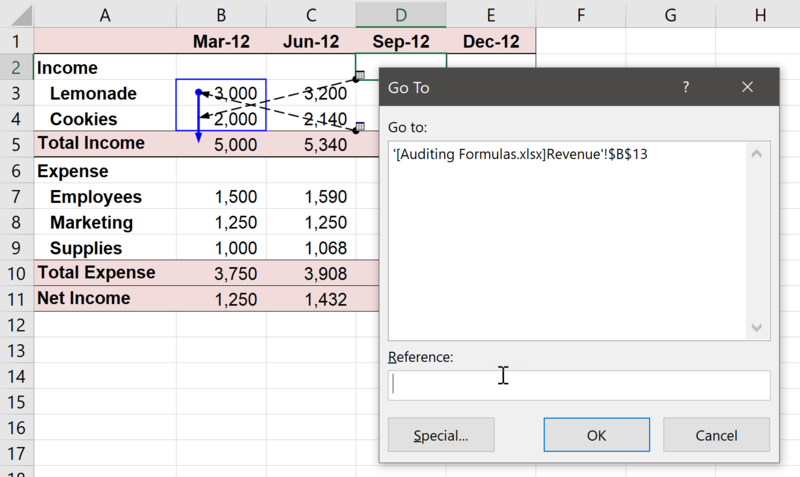 The Formula Auditing commands can help you find the cell causing the error. To better understand worksheets and information in specific cells. In a complex worksheet, it can be difficult to ascertain where results come from. The Formula Auditing commands can help you understand how different cells in the worksheet relate to each other. Detailed instructions for using the most commonly used Formula Auditing commands follow. Select the cell to trace precedents for. In this exercise, you will practice tracing precedents. 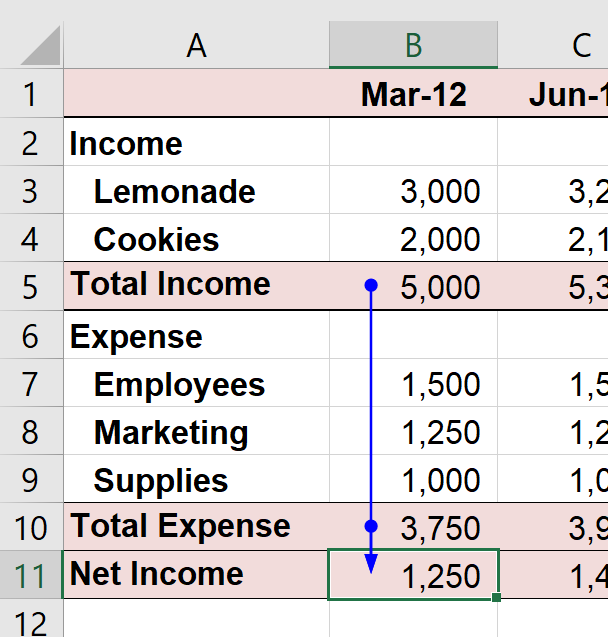 Open Auditing Formulas.xlsx from your Excel2019.3/Exercises folder. What are the first-level precedents for cell B5? What are the second-level precedents for cell B5? What are the first-level precedents for cell B11? What are the second-level precedents for cell B11? 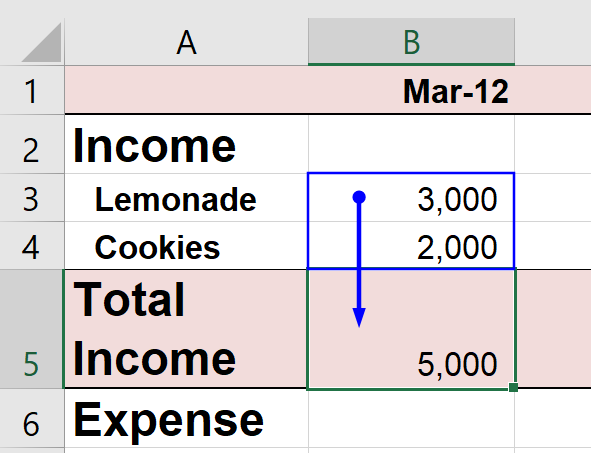 Select the cell to trace dependents for. As with precedents, clicking Trace Dependents subsequent times shows additional levels of dependents. 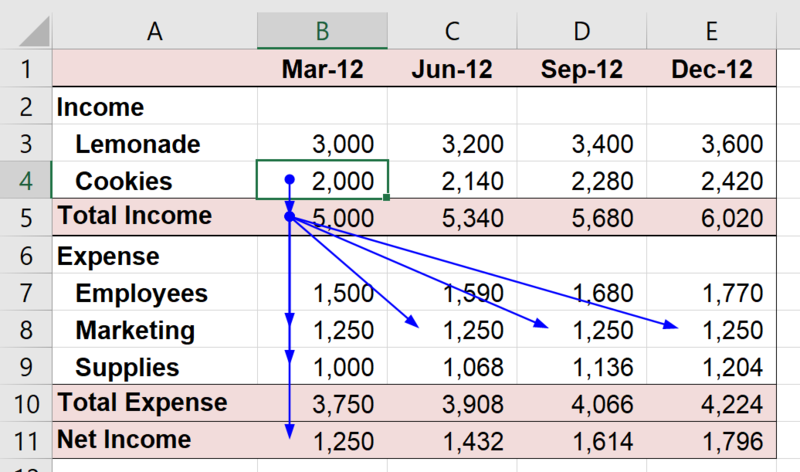 If one of the dependent cells is on another sheet, Excel will add an arrow pointing to an image of another sheet. 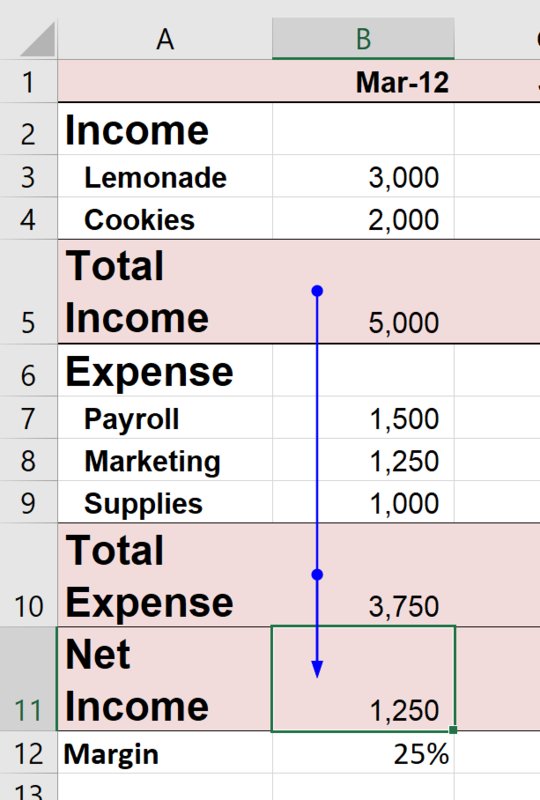 In this exercise, you will practice tracing dependents. 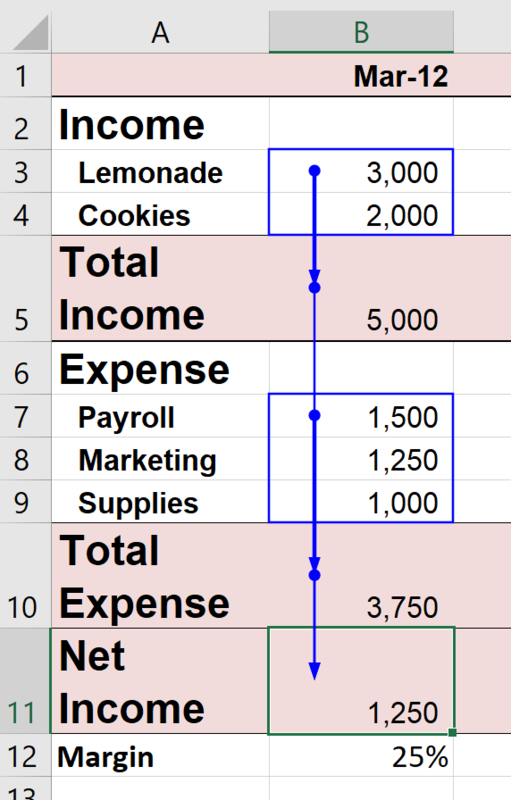 What are the first-level dependents for cell B4? 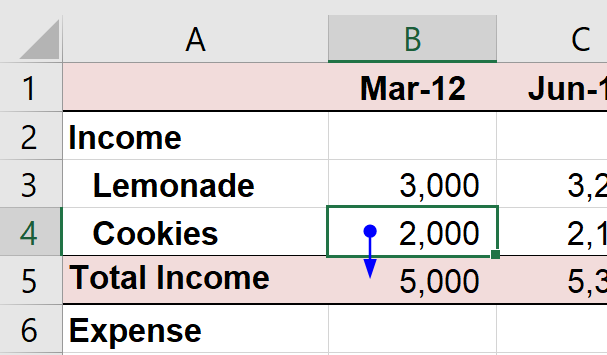 What are the second-level dependents for cell B4? 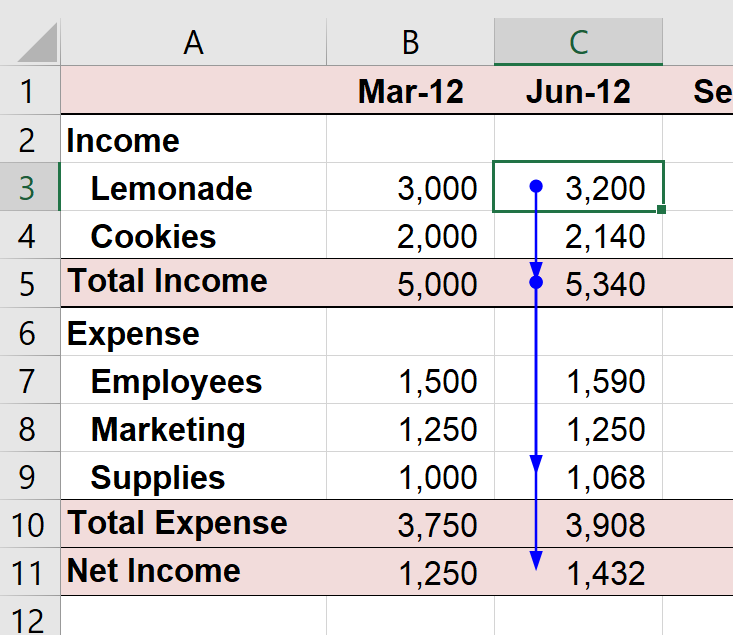 Select any cell in the worksheet in which you want to show the formulas. 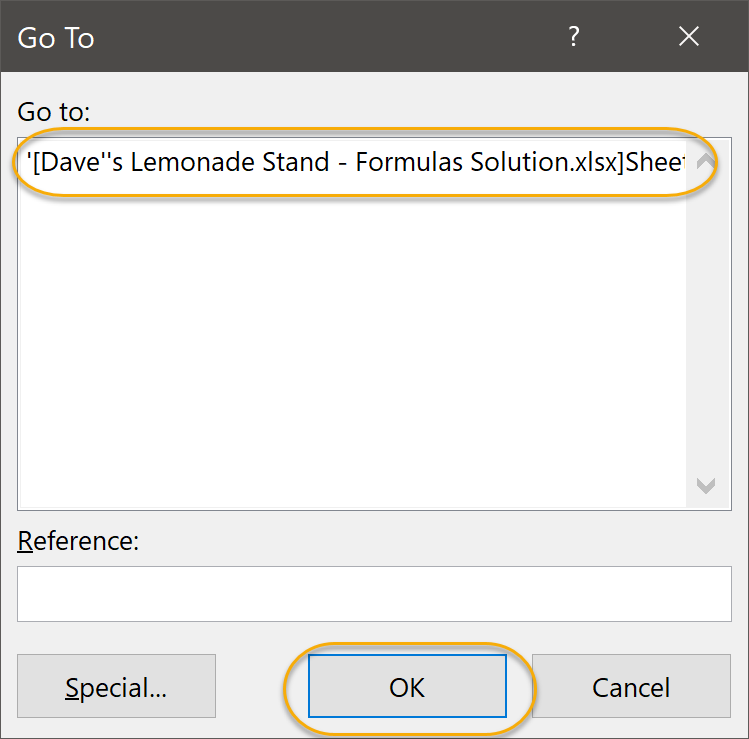 To go back to showing values, simply click the Show Formulas command again.